"As a Network Engineer I am always on the search for capable companies to partner with. I gave Action the task of re-cabling and updating and administering the data and phone communications at a new manufacturing plant. We had one meeting to discuss our needs and then let them loose. The job was completed exactly as specified and on budget and with no need for recalls." "Everything went excellent! Emily really did a great job, please thank her again for me. We have another project coming up for this site and would like to utilize your services again. I will let you know as that gets closer. Thanks again for all your help." "Whether its cabling needs, phone system upgrades, or call center optimization, we rely on ACT. They have quick response times, knowledgeable technicians and all is takes is just one call or email - problem solved! Their quick problem resolution, commitment to customer service and proven track record are why we continue to trust ACT to keep us connected to our customers." "I just wanted to take this opportunity to express my thanks for the great job you did in installing our phone system in both of our locations. You made the whole process “painless” and your patience was amazing. The phone system works fantastic and after you “walked me through the system installation – I can now easily make changes and use our system to its full potential. I was quite impressed with your expertise and professionalism.” Thank you again for your wonderful work." "Exceptional service provided for return of products. Vendor has been a valuable asset to the department. Time and time again have they gone above and beyond what was expected and have always performed with excellent customer service. The technicians have always been knowledgeable about products, programming, cabling, etc. And have been able to complete any requests thrown at them. Vendor has also assisted in emergency situations where immediate responses were needed.  Action Communications should be commended for the work they do and services they provide. Great Company; Great Service; Great Personnel."